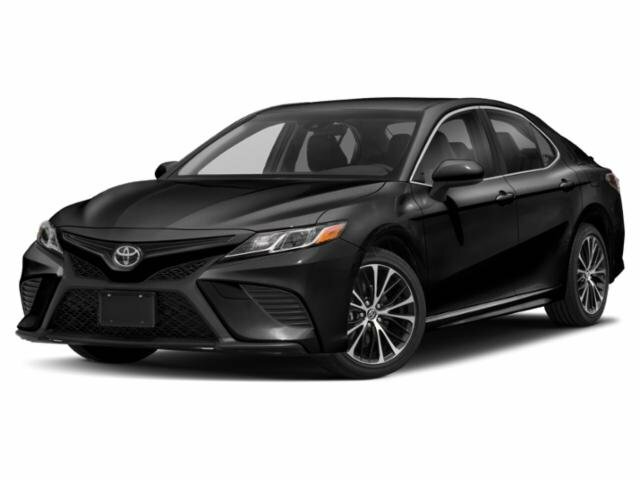 The 2019 Toyota Camry mid-size sedans have arrived at Wilder Toyota, and each version comes packed with safety and technology features that are sure to impress drivers and families. The recently redesigned Camry sedan's sporty styling is backed up by a roomy and refined cabin and a choice of two efficient yet powerful engines. Drivers from nearby Sequim and Clallam County, WA can tour the new Toyota Camry sedan lineup at our dedicated Toyota dealership in Port Angeles, WA. When you are searching for a highly modern new car at a driver-friendly price, the 2019 Toyota Camry is a smart choice. Unlike some of its mid-size competition, the new Toyota Camry boasts a range of standard safety technologies, known as Toyota Safety Sense™. When comparing the 2019 Toyota Camry to rivals like the new Honda Accord, you'll find a number of key differences. For one, both of the 2019 Camry's powertrain options outperform the Accord's, with the standard 2.5-liter Dynamic Force engine and available 3.5-liter V6 in the Camry delivering greater horsepower than the Honda. What is even better is that the Camry's popular, standard 4-cylinder engine also returns greater highway MPG than does the Accord's standard engine! Drivers who opt for a Camry L base trim will enjoy a standard 6-speaker audio system, while a comparable Accord LX base trim boasts just four speakers. There is plenty more to explore about the stunning 2019 Toyota Camry, so if you live near Sequim and Port Angeles, WA, why not visit Wilder Toyota for a closer look? You can start your new car search here on our website, where we offer our complete new Toyota selection and pre-owned inventory for viewing, along with our convenient online auto loan application.